As Apple counts-down to the 10 billionth app download, they have revealed the all-time top applications for both iPhone and iPad. The top applications are broken into four categories: Top Paid iPhone Apps, Top Free iPhone Apps, Top Paid iPad Apps, Top Free iPad Apps. In the list of Top 10 Paid iPhone Apps, 9 are games. Paper Toss was the only one game to make it to the Top 10 Free iPhone Apps list. On the contrary, the iPad games didn’t have much importance. Also, the Top 10 Free iPad Apps list wasn’t much different from the iPhone. Facebook was the most downloaded application on the iPhone. But, it was absent from the iPad list because there is no official Facebook application for the iPad. If there was, it would have undoubtedly been the most downloaded application on the iPad too. 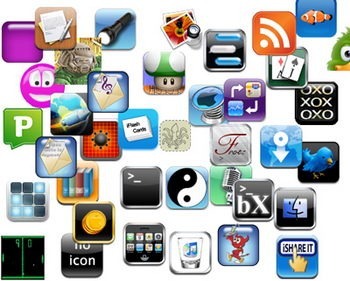 You may also want to check out: Top 10 iPhone and iPad Apps of 2010.